Compare and contrast the following headlines and excerpts. 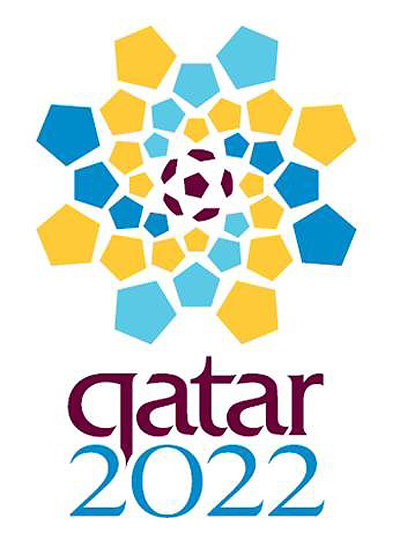 The report, which has been seen by Press Association Sport, also looks to be highly damaging to Qatar’s hopes of hosting the 2022 World Cup as the Middle East bid has been given the only ‘high’ overall operational risk rating among the nine bidders for the two tournaments. Among the 2022 bidding countries, Qatar is given a high overall operational risk rating. Firstly, it is important to note just how cringingly embarrassing this is for the Qatar Tribune and, to a larger degree, the notion of press freedom in Qatar. Yes, most people know that the domestic press in Qatar is hamstrung by a pervasive sense of self-censorship. Here and forever more is surely the best and clearest example of this in practice. This kind of bilge is usually associated with Pravada, the Soviet Union’s ‘patriotic’ paper or the absurdly sycophantic press-release repeating national press agencies in the Middle East. Reading the report, the Tribune’s take on the summary is monumentally blinkered and partial. While it is true that they have not outright lied – there is no section listing ‘high’ and ‘medium’ risk countries – they have woefully and purposefully misunderstood and miscommunicated the essence of the report. As the NYT notes, there is a lot of ‘risk’ to go around, but it is deciphering between the risk that is the key. For example, England’s bid was cited for insufficient training facilities (how this does not apply to Qatar too, I’ve simply no idea…). Compare this to Qatar’s bid which poses a risk to the health of everyone involved in the World Cup from players to spectators!! Manifestly, no bid could get a clean bill of health with no problems at all else they would simply have to win. So while this picky and frankly absurd problem with England’s bid is one thing, a health risk caused by the climate is wholly another. Qatar can continue to trot out as many famous football backers as possible, with Alex Ferguson joining the throng last night, but this, if this report is to mean anything, will mean nothing whatsoever. The Tribune is managed/run/owned by the Prime Minister. The apparently silent Gulf Times (or is it Gulf News?) is the ‘official’ organ and vetted by the Diwan. Competing agendas perhaps? A very interesting bit of information there…thanks. I note also that he is apparently the co-owner of the Lebanese Daily Star with the Lebanese PM…Quite the empire. Gulf Times is also run by the government. The Qatar Tribune is essentially the in-house opposition paper, but in name only. What’s interesting is that CNN reported it just as the Qatar Tribune did — that Qatar received the low risk rating. But they also added that FIFA warned of Qatar’s potentially troubling summer heat. Honestly until I saw this entry I had thought Qatar had received the low-risk rating, because these ratings are not big news in the US and I happened to be watching CNN International the other day when the news came out. No kidding, Qatar was in the low-risk category, and I remember being surprised to see that. Qatar Tribune can defend itself by saying that it was only following orders, performing its duties as a state propaganda tool. CNN meanwhile has only incompetence to blame.